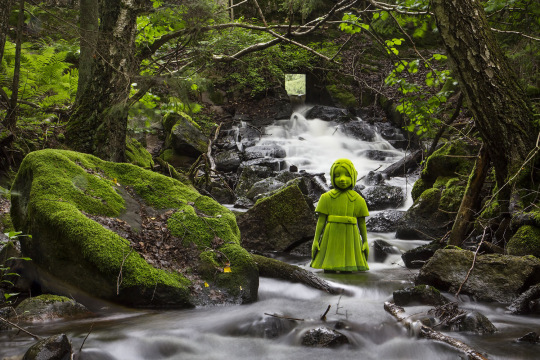 Kid’s Wear - Kim Simonsson: fear tales! 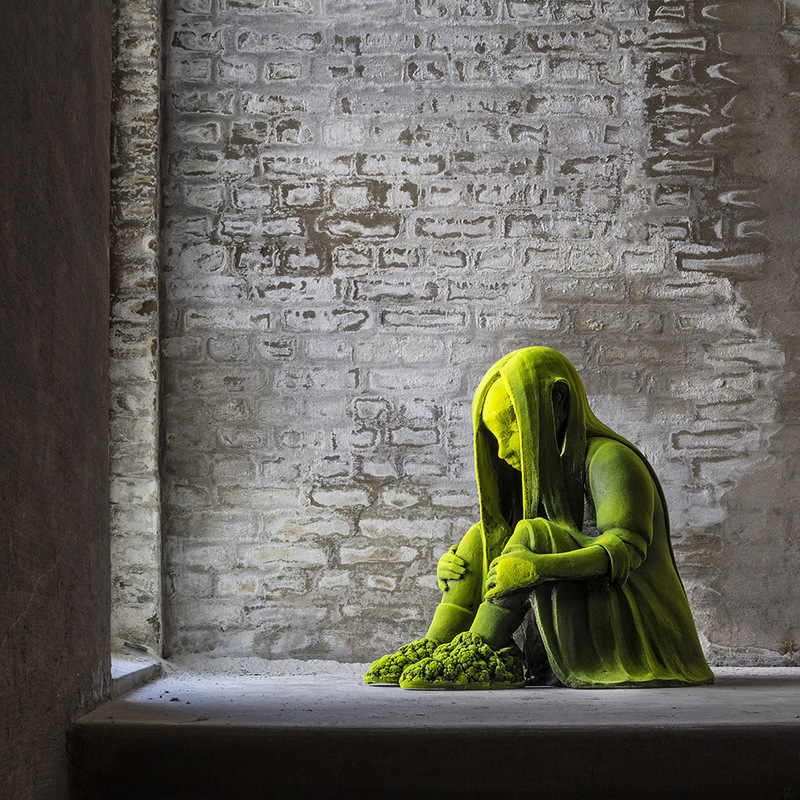 Diary / Art & Culture / Kim Simonsson: fear tales! 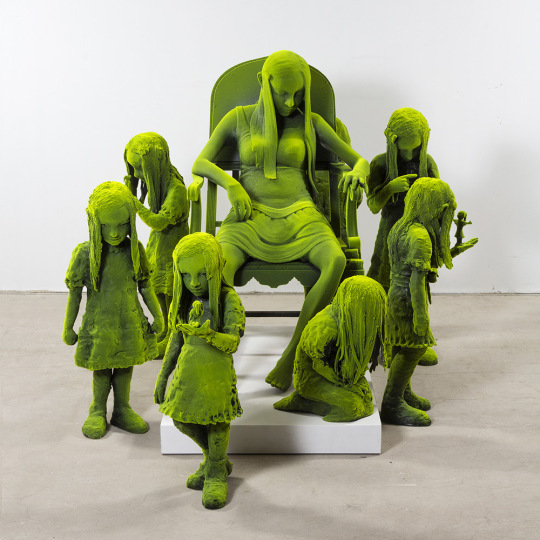 Mr Simonsson is a Finnish sculptor, born in 1974. He realized to be able in sculpting at a very early age, when he was just a boy playing with snow in his backyard, and he came up not with a snowman but with a Donald Duck. 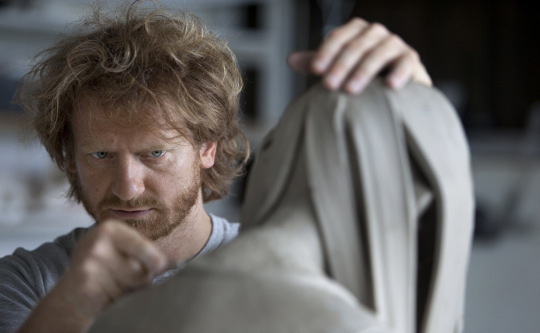 Now he is a renowned ceramic sculptor, with a lot of exhibitions between Europe and US, behind him. The last is “Moss People” and if you’re in New York, hurry up to catch a glimpse of Nordic handcraft. 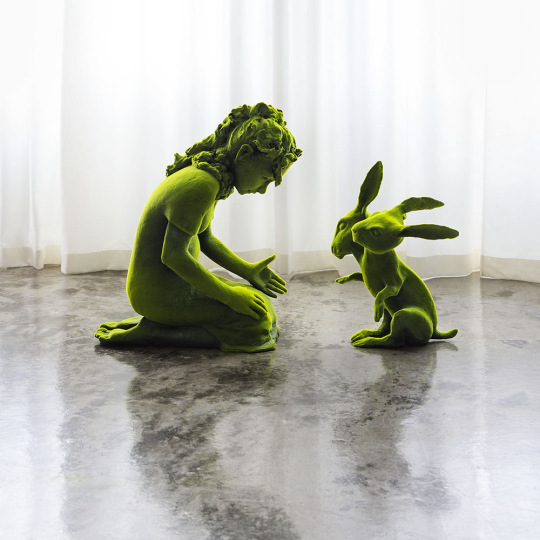 Life-size sculptures of children and animals, coated in moss and occupying a dark space, will welcome you in their fairy-tale world. But it is an odd fairy-tale, in which the little girl speaks not with magic godmothers but with a two-headed rabbit. “My sculptures are usually very sleek and smooth. Pieces at Moss People are rougher and more personal” says Kim. 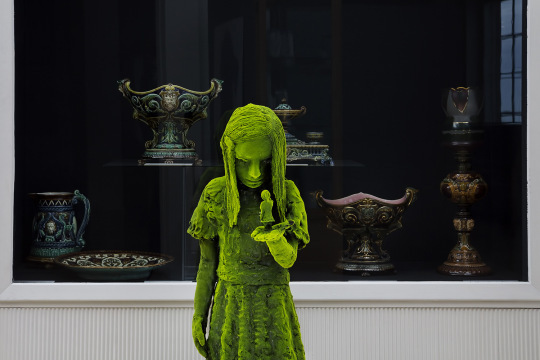 With an analysis of modern society’s diseases hidden in these dreamy ceramic figures, Simonsson’s tale is the freakiest we’ve been hearing for this year’s Halloween. You have time until the 28th of October if you want to discover if there’s the happy ending.